Spring is here and the weather is finally starting to invite us outside. My kids love outdoor adventures that Neighborhood Scavenger Hunts and Bug Scavenger Hunts take them on. 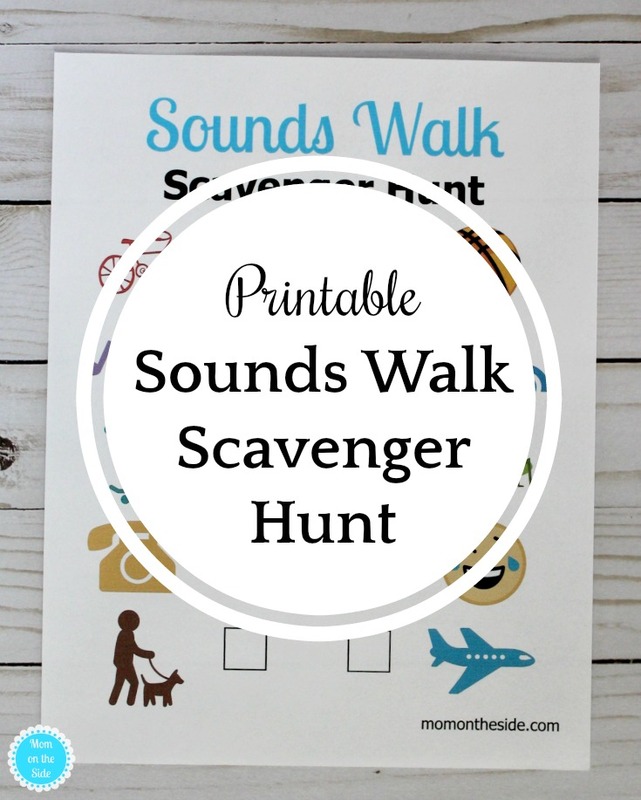 Now they have a new one with the Printable Sounds Walk Scavenger Hunt I created and made printable for you! 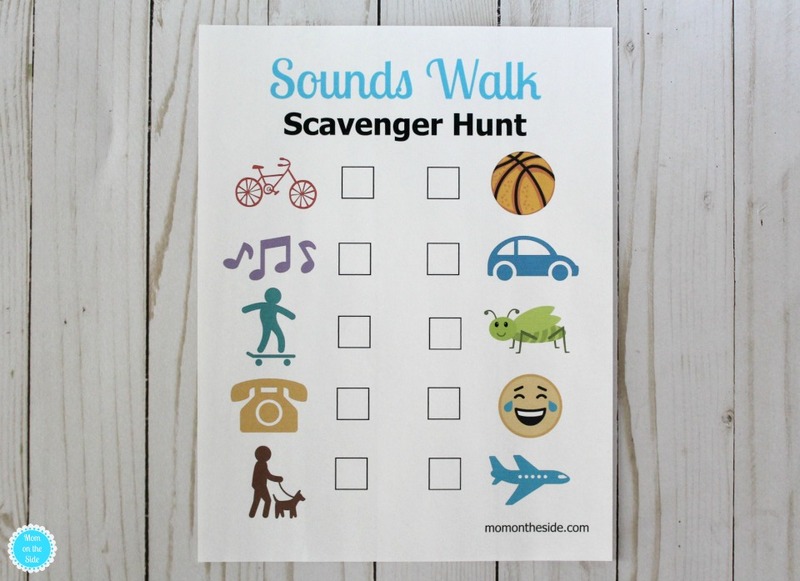 This sounds walk scavenger hunt for kids will have them hunting for typical neighborhood sounds while on a walk. Someone riding a bicycle, playing someone basketball, music playing, a car driving by, a kid on a skateboard, insects chirping, a phone ringing, people laughing, someone walking their dog, and a plane flying over. All the sounds we love about getting outside when spring comes are included in this scavenger hunt. It’s a great way to encourage the kids to get outside and get some exercise while being miniature detectives. 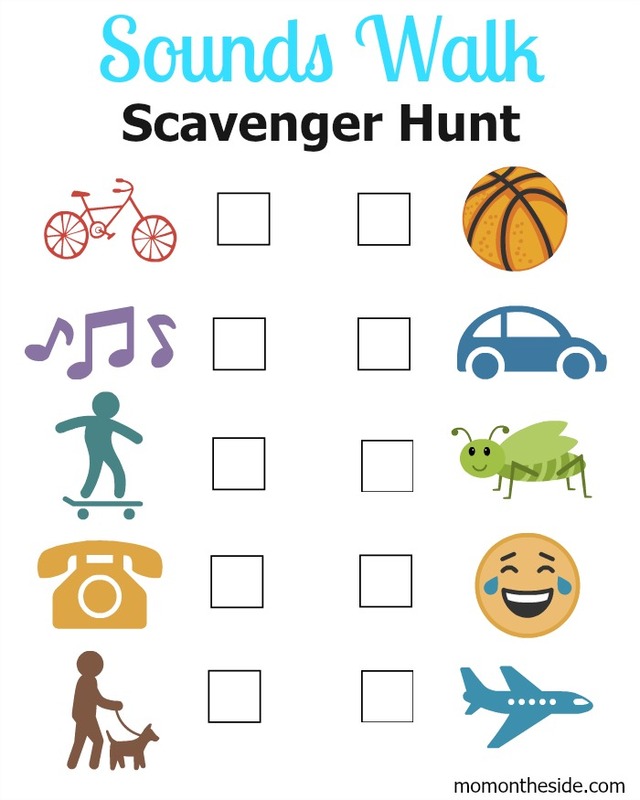 Grab this printable scavenger hunt below and make your next neighborhood walk more fun!